The Motivation Hotel: I don't pretend to be someone I'm not. I don't pretend to be someone I'm not. 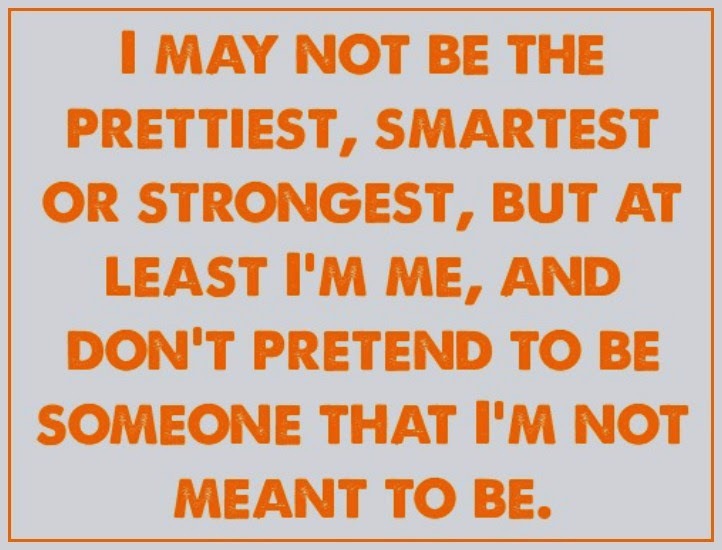 I may not be the prettiest, smartest or strongest, but at least I'm me and don't pretend to be someone that I'm not meant to be.